Whether you want us to build a Website or a Full On Store, write your content or market you using Google, we can do it........... Logos are simple so is Social Media.......... we believe we're better than anyone! You need to make sure the search engines find your website. SEO or "Search Engine Optimisation" is one of our core skills. We do this for hundreds of clients now. Our pricing is the one of the best value in this industry. Click on the links and follow the instructions to find out what's involved. In our view this is the MOST important lead generation tool in the world at the moment. 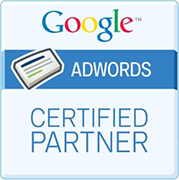 If you are not doing PPC or Google Pay Per Click then we don't feel you are getting real with the way the business world now works. We do this, and you absolutely should be also. Google us and see. Cick on the Links and follow the instruction to find out what's involved. WOW ! Where do you start? What do you use? Facebook? Google Plus? Twitter? Instagram?? We know the ones which are most relevant. Click on the Links and follow the instructions. If you spend too much $$ on your branding then you are making a mistake. All of our business have logos designed by our team obviously. Whatever you are needing or conceiving then give us a go. You don't have much to lose. What you have written is now Soooooooo important. Attention spans are much less. You need to write words that SELL. I know you probably want to write it yourself but let us give you a hand and it may make you richer. We've built over 9000 in the last 9 years so we definitely know what we're doing.